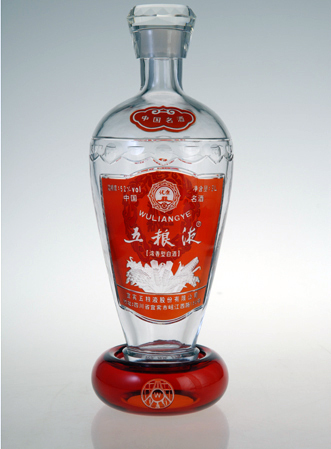 Product categories of Spirits Bottle, we are specialized manufacturers from China, Spirits Bottle, Glass Spirits Bottle suppliers/factory, wholesale high-quality products of Color Printing Spirits Bottle R & D and manufacturing, we have the perfect after-sales service and technical support. Look forward to your cooperation! Spirits seem to precede the earliest stages of Chinese civilization. They include rice and grape wine, beer, and various liquors including Chinese liquor, the most-consumed distilled spirit in the world. Nonetheless, there are many cultural parallels with the use of wine in European culture. Chinese food employs liquor in its recipes and formal dining in an analogous manner; likewise, there are many parallels in upper-class etiquette and religious observance. It appears prominently in all of the Chinese classics, including the Rites of Zhou and the Record of Rites, and has been a constant theme of Chinese poetry since its origins, all similar to the treatment of wine in Europe.